 Na'vi Music Theory | Pandorapedia: The Official Guide to Pandora | Own AVATAR on Blu-ray & DVD Now! After the establishment of communication with the Na’vi, Terran researchers came to the moon to observe and investigate Na’vi life. Xenomusicologists came along on later excursions to Pandora and, through the avatars, began to analyze the musical performances, musical instruments, song structures, and musical function. What they found was in some ways typical of Earth’s aboriginal cultures (the predominance of vocal music and drums), but they also discovered some significant differences such as the use of numerous different scale structures, many different textures, and divergent yet simultaneous singing styles. The Na’vi categorization system groups songs by function (personal, social or ritual) and performer (men, women, children, or all). The Na’vi do not analyze their music; they just perform it in the same manner that was given or taught to them. The theoretical information given here is the result of observation and analysis by xenomusicologists. There has been no confirmation of musical theories by the Na’vi themselves. Although they are highly creative in their approach to music, they do not recognize any theoretical basis other than Eywa and are reluctant to discuss their music with outsiders who do not See. An Earth-style musicological analysis would make absolutely no sense to them, and they believe the study of music to be a waste of time. The musical scales utilized by the Na’vi are unusual for an aboriginal people, at least according to Earth’s standards. Most aboriginal cultures use one scale, two at the most, and usually the two scales are closely related. The Na’vi use three fundamentally different types of scale structures: pentatonic, diatonic, and microtonal. Pentatonic or five-tone scales are found in both hemitonic and anhemitonic versions (with or without the use of half-steps). Using the Western European lettering system, these scales would be notated approximately as C D E G A (anhemitonic) and C D E-flat G A-flat. The diatonic or seven-tone scales used by Na’vi do not follow the standard pattern of half-steps and whole steps that one would find in Western European tunings. They do use seven scale steps, but there ends the resemblance. Different modalities are created by using a different set of seven steps. Within the scope of the seven steps, the individual pitches and their relationships to one another may vary quite widely. Western musical analysis relies on a logarithmic scale developed by Alexander J. Ellis (1814–1890), which identified tiny intervals between pitches called “cents.” Ellis’ octave equaled twelve hundred cents, based on twelve equally tempered semitones of one hundred cents each. Using this type of analysis on the most commonly used Na’vi diatonic scale, as it was rendered during seventeen performances of social dance tunes, determined that the Na’vi “octave”―not a truly accurate designation since they do not use a tempered scale―comprises not 1200 cents but a standard of sixteen equal pamtseo ’it (or “music small bits,” a term developed by xenomusicologists on Pandora), identical to the combined number of planets and moons in the Pandoran solar system. Some songs use even smaller subdivisions or microtones. The smallest microtone that was recorded in Na’vi song was one-fifth pamtseo‘it. Again, the division of a pamtseo ‘it into five microtones possibly reflects the five planets of the Alpha Centauri A system. The best illustration of Na’vi microtonality is heard in their great banquet songs. The musical texture is divided between men and women: women sing the melody and lyrics in their typical heterophonic fashion while men sing a drone. However, rather than holding a steady pitch as a drone, each man independently fluctuates his pitch microtonally, varying up to one and three-fifths pamtseo ‘it on either side of the fundamental pitch. One major difficulty in transcribing Na’vi songs is that they have no set pitches, standardized tunings, or tempered scales. The actual intervals between notes in each scale will vary from genre to genre, song to song, and even performance to performance of the same song. Some early investigators believed that the pitches for songs were based on the tunings of the musical instruments that accompany the songs. However, none of the musical instruments of the Na’vi are used as melodic instruments except for the large musical bow, which plays microtonally. The first writings on Na’vi music suggested that scales were based on the pitches created from the tree drum. That was quickly disproved when it was realized that each tree drum creates its own set of pitches. Some of those pitches might be matched by Na’vi singers, or they might be completely ignored since Na’vi perceive the tree drum as a rhythmic accompaniment. What seems to be important to the Na’vi is that the basic melodic contour is kept intact. Therefore, a more appropriate way of transcribing Na’vi song is to illustrate its melodic contour, with the understanding that the actual size of the intervals may vary from performer to performer, song to song, etc. Below is an example of the melodic contour of a social dance song in a diatonic scale. It was recorded during a mating celebration and illustrates the typical cascading quality of women’s music and the characteristically wide vocal range. Scale step (7 tone scale)	. 1	6	5	6	. Lyric translation	The great Tree	The great Tree	(its) song (is)	in us. The three primary textures heard in Na’vi music are unison (whether solo or dense), heterophony, and melody-and-drone. Most social songs are sung in dense unison by all Na’vi adults. § Each woman’s part is indicated by a different colored line. Despite the complexities of the vocal music, Na’vi rhythms are relatively simple. Most of the rhythms are duple (two or four beats to the bar) in nature, perhaps, as anthropologists posit, because of the symmetric nature of the Na’vi physiology. Dancing automatically creates a meter of two, with one strong pulse and one weak pulse. The majority of social songs are in a meter of two or four. Ritual songs in celebration of the Hometree and for mourning are sung in a meter of three. Xenomusicologists who have investigated the cosmology of the Na’vi believe that this triple rhythm represents the trilogy of Eywa, the Hometree, and the Na’vi people. All songs begin and end on first beat of the meter, which is the strongest and reflects the strength, shelter, and providence of Eywa. The third beat represents Hometree, which always leads the singer back to the first beat, Eywa. The second beat, the weakest of the three, represents the Na’vi themselves nestled between Eywa and the Hometree and drawing strength from both.